The last of the summer Phlox and the first of the woodland ex-asters, both stalwart wildflowers at Clay and Limestone. I can't imagine gardening without either of them. This may be the only photo I have of an ex-aster without pollinators! PS I think one of the ex-asters will be the October Wildflower Wednesday star (October 24, 2018). Such a sweet combo. 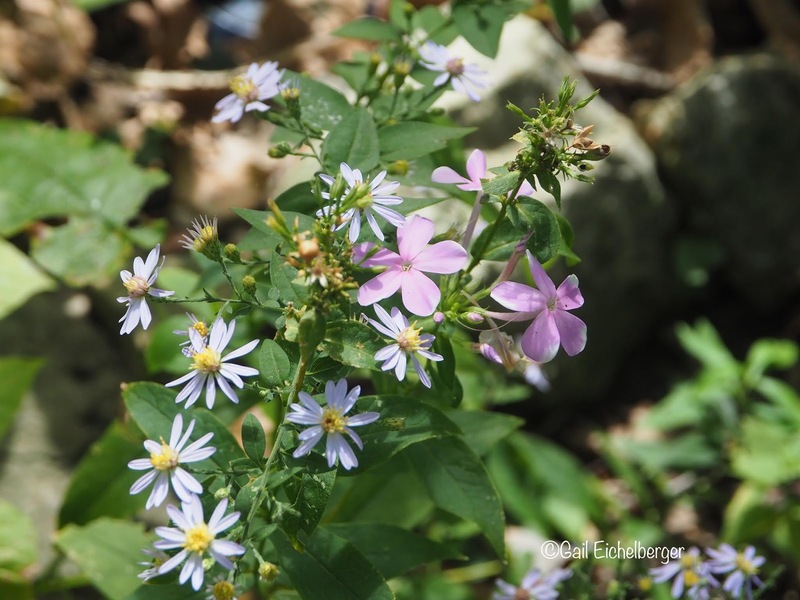 The asters are rockin here with just a few phlox blooms. I was surprised to find a few phlox re-blooming in my garden, too. This is a pretty combo, Gail! They seem to be cuddling up to each other.